First, and we hope probably, there is no catch. Puppies of all breeds are adopted out all over the country for little or no charge. Owners change lifestyle, can not afford to keep the pet, or move. Rescue organisations pick up animals and are looking for homes. Check out our advice on adopting a Husky for what you should be looking for. Cross-breeding can create wonderful new and ideal variations on a breed, but only by experienced breeders who understand the genetics and health issues they are trying to encourage or suppress. Many thousands, if not hundreds of thousands of dogs and cats each year are born to owners unable to care for them. Often this is as a result of a lack of birth control through spaying and neutering. You can read more about this problem at the Peta web site. While not a reason itself to avoid taking on board an unwanted pet, you should be aware of potential false claims being made about the bloodline of the pet or its ancestry. This is particularly true if the person giving the animal away does not show signs of being a competent breeder. You should avoid taking pets from unscrupulous breeders who might be encouraged to continue the practice if you do. You must always get a dog checked out by somebody trained to identify current and potential health issues in Siberian Huskies. Your local vet is your friend when it comes to assessing the health of a dog. Anyone trying to offload a puppy for free who refuses to let your vet check out the dog is likely to be hiding something, so beware! 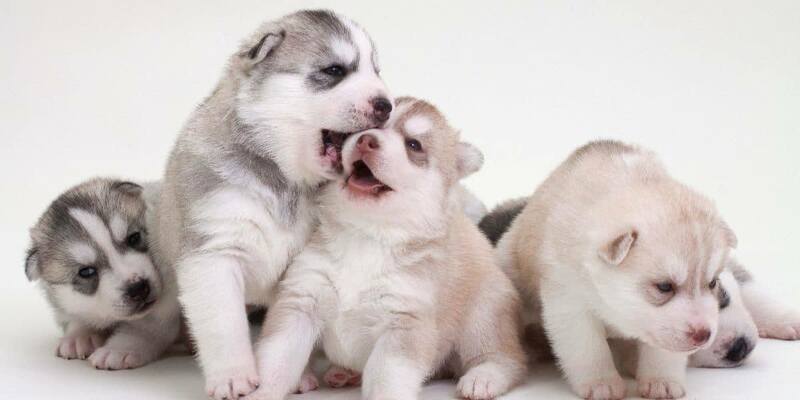 It can be difficult to assess how social a puppy is, but there are some clues. If the puppy is “scared to death” of strangers that isn’t a good sign. Conversely if the puppy is aggressive towards you (or your shoes!) that can indicate some mishandling or lack of supervision on the owner’s side. Again, neither is necessarily a bad thing if you have the patience and dedication to train the puppy. Those new to the Siberian Husky breed, however, are likely to find it a better option to go with a well-socialized puppy that is inquisitive, playful, and has a temperament likely to match the owner’s lifestyle. Still looking for a cheap or free Siberian Husky puppy? Why not try rescuing one? 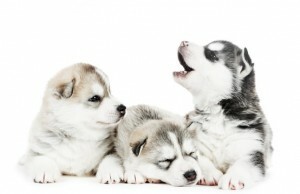 There are Siberian Husky rescue organisations in many US states and countries across the globe. They are committed to matching the puppy to the right home and you can trust they are not simply offloading problems on to somebody else. A small fee might be involved which covers the survival of the organisation, and maybe some basic health checks, vaccinations, flea treatments etc. Free or cheap Huskies advertised in the paper or online should be treated with caution, just as you would be careful in selecting a puppy from a breeder. Try not to be dazzled by the cheap price: in the long run, with pet food and vet bills for the life of the dog, any savings up front are going to be relatively insignificant. Ask a lot of questions, take your time, and get some assistance from your vet. With this advice you should be able to find a Siberian Husky puppy that matches your lifestyle and is going to be a healthy, happy friend for a long time.